When I’m not feeling ashamed of myself for a misdeed or an errant thought, I’m feeling ashamed of the human race, not because we are fallen before we arrive but because we become ridiculous once we get here. There are some, though, who redeem us. 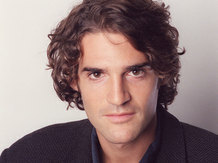 Jeffrey Gettleman is one such. East Africa bureau chief for The New York Times, Gettleman recently spoke with NPR’s Fresh Air host Terry Gross about his experiences as a correspondent covering Somalia and other countries. In the interview, he describes with so much humanity the magnitude of the suffering he witnessed while traveling throughout Africa with Times photographer Tyler Hicks. Gettleman recounts, for example, how he saw “entire families sit on old-fashioned cholera beds, with basketball-size holes cut out of the middle, taking turns going to the bathroom as diarrhea stream[ed] out of them,” and he tells of an 84-year-old woman he interviewed who had been gang raped by young men. “Grandsons get off me,” she had begged. Today, Gettleman receives the George Polk Award in Journalism for a story he broke in 2011 about al-Shabab, the militant Islamist group affiliated with Al Qaeda who just yesterday killed ten people at the National Theater in Mogadishu and then went on to boast about it in a tweet. In it, he writes about how the insurgents caused a famine in Somalia by driving out aid organizations and then prevented those who were famished, including a half million children, from fleeing the country. Hicks is also receiving an award for his wrenching photo of a starving child dying alone in a hospital. ← Is there an h in the? I’m sorry, but Mr Gettleman has got to be an alien! If a thing sounds too good to be true…it usually is. Handsome AND humanitarian AND tender-hearted AND caring AND well-researched articles AND talented writer?